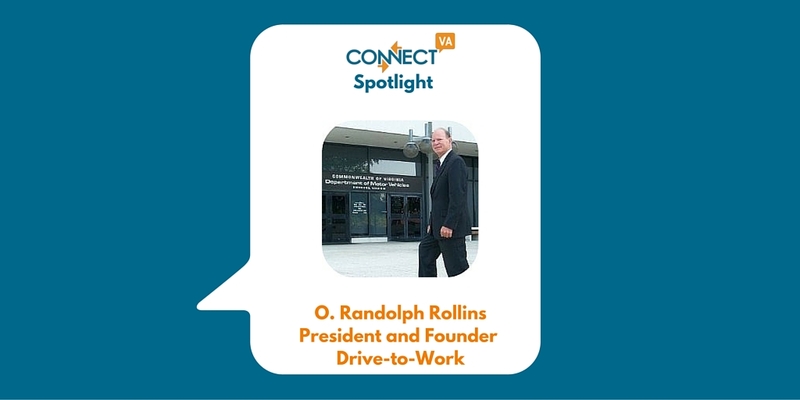 My name is Randy Rollins and I am president and founder of Drive-To-Work, a non-profit tax-exempt corporation which assists low income and previously incarcerated persons to restore their driving privileges so they can drive to work and keep a job. As a former Secretary of Public Safety, I agree with a recent study which concluded: “If you don’t have a valid driver’s license, you don’t have a prayer of getting or keeping a job over time.” Drive-To-Work is based in Richmond but serves individuals state-wide who want to get their driver’s licenses back. Not having a valid driver’s license is a major barrier to getting and keeping a job. Over 10% of Virginia drivers are suspended at any point in time. Meanwhile, 1,900 job positions require a license. In rural areas, for electricians and others who must go to the job site and for night-time shifts, individuals cannot take jobs unless they can drive. Since court fines, child support and other financial hardships account for nearly 50% of all suspensions, low income individuals are the most severely affected. Drive-To-Work provides legal assistance to persons who sign up for its program. We work with individual clients to remove the many reasons for suspension from their driving records, so they can go back to DMV and get their licenses back. This helps the individuals and their families and lessens the burdens of unemployment on communities. When an individual sees, perhaps for the first time, that there is hope for him or her to fight through a complicated problem and get a license. The annual Drive-To-Work Second Chance Community Luncheon, at which we recognize the successes of our clients. This year’s Luncheon featured Harold Clarke, Director of Virginia Department of Corrections who spoke about “The Challenge of Re-entry”—especially getting a job, which often requires a driver’s license– for offenders returning to their families and communities after serving their sentences. 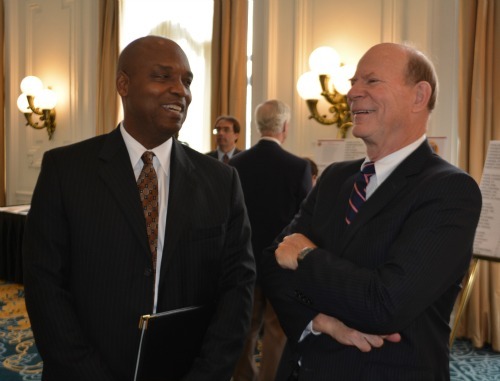 Randy Rollins (r) with Department of Corrections Director Harold Clarke, Keynote Speaker at the 2015 Drive-To-Work Second Chance Community Luncheon. Drive-To-Work is the only organization providing legal assistance to low income individuals to restore their driving privileges. Because it addresses an often-unrecognized niche problem, few foundations or charitable organizations see how its mission fits their own objectives and are reluctant to provide grants. We try to answer this challenge by seeking out funding sources based on relationships and obtaining public financial support. We also expand our service lines and geographic service area so as to produce more earned revenue. ConnectVA can help us get the message out. Drive-To-Work is presenting a seminar on “How To Get Your License Back” to individuals about to be released from jail or prison. If released offenders can get their licenses back, they become more “job ready” and their employment chances are vastly improved. If any organization serving other groups with unemployed individuals will contact Drive-To-Work, we can explore offering the seminar to their participants. ConnectVA provides an excellent means to keep abreast of the non-profit sector in Richmond. We all learn from each other and the interactive communication on ConnectVA allows us to be a part of the latest trends and developments in the Richmond NPO community. Is this only for Virginia drivers? I reside in the state of Maryland does your program work there? Hello! We have passed your question on to the staff at Drive to Work. Feel free to reach out to them directly as well at info@drivetowork.org or (804) 358-6727. Does this help apply for DUI’s as well?